BUDAPEST -- Hungary's foreign minister has met Tesla executives during a tour of Silicon Valley and explained to them the tax breaks and other incentives offered to automakers in the eastern European country, national news agency MTI reported. "Our purpose with today's visit was to place Hungary on the map ... as a country, which puts great emphasis on the car sector," Peter Szijjarto was quoted as saying after talks on Thursday with Tesla's business development and legal directors. Szijjarto said Tesla executives responded "very positively to tax breaks linked to research and development and investments in Hungary, as well as the country's corporate tax rate, which at 9 percent is the lowest in the 28-member EU. 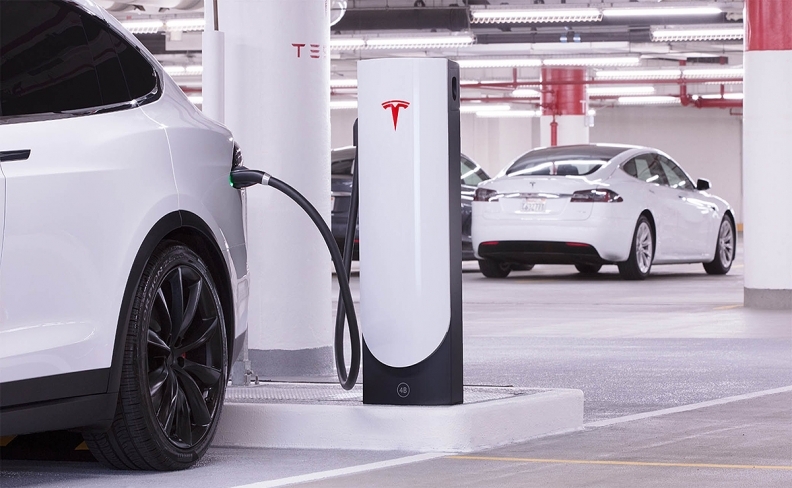 The minister said Tesla will already build two supercharging stations in Hungary by the end of next year, one in the western town of Gyor, an industrial hub for Audi, and another in Nagykanizsa in the southwest of the country. In total, Hungary aims to install over 3,000 electric charging points by 2019. Audi is one of Hungary's biggest exporters and revenue earners and the company describes the Gyor engine plant as the world's largest, supplying more than 30 Volkswagen Group sites. Other major automakers in Hungary include German rival Daimler, PSA Group's Opel, and Suzuki Motor. South Korea's SK Innovation said last month it would invest 840.2 billion won ($771.86 million) to build an electric vehicle battery plant in Hungary to meet demand from automakers in Europe. The production and export of cars by foreign automakers is a key driver of economic growth in Hungary, where wages for skilled workers are well below Western European levels. The car sector employs over 100,000 people and accounts for about a third of industrial output in Hungary. Neighboring Slovakia and the Czech Republic are also major car making hubs in the region.